When people think of Destin, they envision panoramic views of beautiful Florida Gulf Coast, perched high atop a beachfront condominium. Beach condos provide a relaxing and many times, an opulent lifestyle that enhances the quality of life as well as providing a rental income. 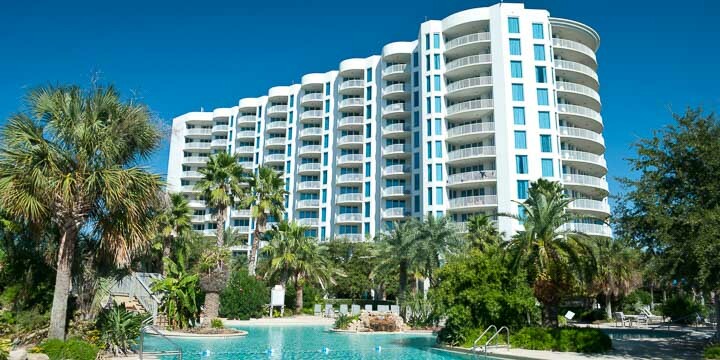 Condo owners often use their units as a second residence as well as vacation rentals, in fact, 60 percent of all Destin real estate sales are vacation condos. People choose this option to maximize their return on investment or offset payments. Renting is an excellent investment opportunity that buyers commonly elect to pursue since most of the year the unit would otherwise be unused. If you have decided on the beaches of Destin for your condominium purchase, then you have already made a wise decision. In today's market, the number of properties listed for sale in the Destin MLS is declining, and prices are going up. Condo accommodations here range from luxury suites to units that are more in line with the family's budget. One of the key advantages, aside from additional free time, is that Destin Florida condos have been a great investment. They have maintained value as an investment in spite of the changing economy. Condo owners must pay association fees and potential buyers at times see this as just an additional expense, but remember these fees pay for ordinary expenses of home ownership. Here is a list of services paid for, in part or completely by these association fees: insurance, water, sewage, basic cable, trash, security, grounds and building maintenance, pool, spa care, common-area lighting, window cleaning, heating, and cooling. 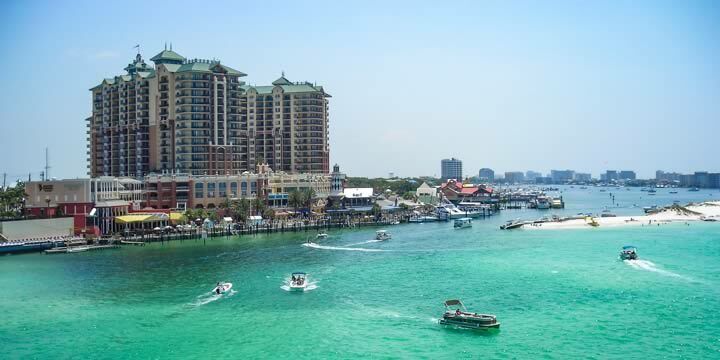 Destin Florida provides easy access to beach activities, boating, golfing and offers a pleasant, carefree lifestyle. Condominium owners have more leisure time than homeowners since maintenance is the responsibility of the condo association. The unique coastal beauty and upscale beach atmosphere, make this destination unrivaled on the Gulf Coast. Discover what others have already found, a sensible real estate investment for the future. Florida's Emerald Coast is a fantastic place to retire. Moderate year-round temperatures, many local attractions, spectacular beach views, and recreational options to get the most out of life make Destin a mecca for retirees. We have listed some recommendations for the best condos to buy on the side of this page. Look at these places first for the best amenities and Home Owner Associations with good reputations. Use our MLS search tools to find the available Destin condos for sale, or sign up for our email notification and get the new listings as they come on the market. Contact us for more information or to make an appointment for a viewing. One Water Place At Kelly Plantation Bldg. East Pass Towers Condo Ph 2 Bldg. St. Croix At Silver Shells Bldg. St. Lucia At Silver Shells Bldg.